"I'd like to accept this award...not on behalf of my brother!" Ex-Oasis singer Liam Gallagher, no stranger to proclamations of omnipotence, predicts his new band Beady Eye will be huge, as in really, really big. In an interview with London's Sunday Times, Gallagher, who formed the group after the seismic fall-out with his brother, ex-bandmate Noel Gallagher, that ended their working relationship, also dissed Oasis, labeling them a "pop band," compared to Beady Eye. "It's proper rock 'n' roll," Liam said of his new outfit. "Oasis was a pop band compared to what we're doing." He added that their sound will be "Beatlesesque," but that "a lot of it sounds more like T Rex or really old rock 'n' roll like Jerry Lee Lewis." Beady Eye, which also features former Oasis guitarist Gem Archer, bassist Andy Bell and drummer Chris Sharrock, seem to be working quickly. "We're three quarters of the way through making my Beady Eye record and we're all writing songs together," Liam said. "We each wrote four. We'll have a single out hopefully this year, another one the beginning of next year, and then the album is due next summer." 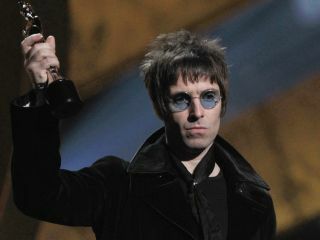 As for the possibility of a future Oasis reunion, Liam predicted that Noel would "come crawling back very fooking soon. He thinks he's the leader, he thinks every decision he makes is right… I started this fooking band. I am Oasis." Well, OK then. You're Oasis. So why are you calling the new band 'Beady Eye'? Just curious.